Too often companies try to operate or implement change without having laid the groundwork of trust. By looking at two recent historical examples, we can learn how integral trust is to getting things done. Example 1: Egypt and Israel Peace Talks 1978. 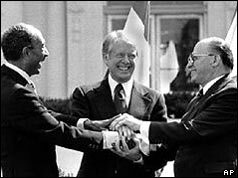 In September 1978, President Jimmy Cater brokered a lasting peace between Egypt and Israel. President Carter worked tirelessly for 13 days at Camp David with Egyptian President Anwar Sadat and Israeli Prime Minister Menachem Begin, two long-time rivals. It’s difficult to imagine any other American president doing what Carter did at Camp David. Most would not even have tried, and Carter’s capacity for hard work, mastery of detail, moral integrity and just plain stubbornness all came into play. Though he would receive little domestic political benefit, it established Carter as a top global statesman and has served as the inspiration for much of his work since leaving office. But the key to this international milestone was possible because Prime Minister Begin and President Sadat were able to build a foundation of trust from which the negotiations came out of. Long time adversaries were able to negotiate a deal because they took the time to get to know each other and trust the others word. Clearly it would have been easy for these powerful statesman to continue their countries opposing viewpoints. President Carter, acting as the intermediary, was able to build a trusting relationship between the two heads of state that allowed them to find some common ground. Example 2: 2008 Financial Crisis and TARP Legislation. After two weeks of contentious and often emotional debate, the federal government’s far-reaching and historic plan to bail out the nation’s financial system was signed into law by President Bush in October 2008. By coming together on this legislation, Democrats, Republicans and President Bush acted boldly to prevent the crisis on Wall Street from becoming a crisis in communities across our country. The law, ushers in one of the most far-reaching interventions in the economy since the Great Depression. 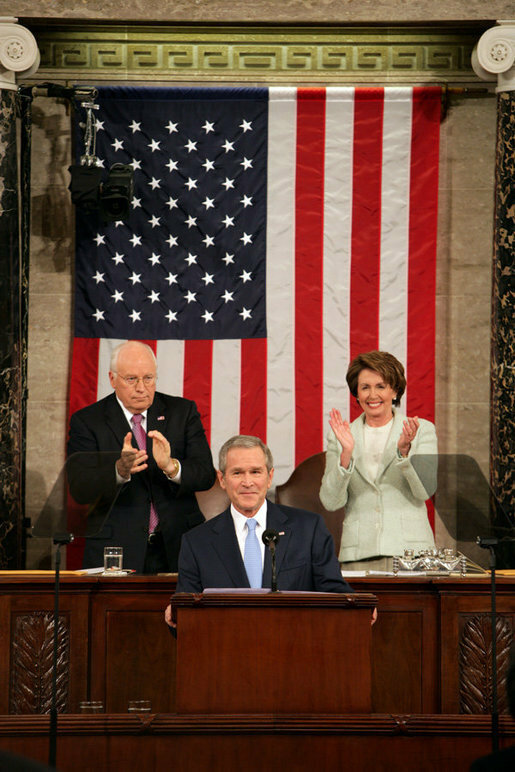 The normally polarizing leaders of the parties were able to enact this legislation because President Bush and party leaders had previously built positive relationships with underlying trust. Clearly, Democrats and Republicans have and continue to have different ideas. This particular group at this time in history were able to get past this to effect important change. In both cases, one could argue that a crisis environment, stimulated change to occur. But it was the fact that opposing sides has built a foundation of trust that difficult problems were resolved. Diversity and different points of view are valuable for most organizations. If team members trust & respect each other, it is easier to constructively argue the merits of different points of view, find common ground and get things done. How do you develop trust? Many people find getting to know each other as people first helps. Sharing your background and history allows for people to find commonalties or appreciate your perspective they might not otherwise have known. Giving everyone a voice is important for that all critical buy-in, even if individuals disagree with the end result. Trust comes from a positive experience you have with someone. Having people work together to support each other gives opportunities to develop a trusting relationship. 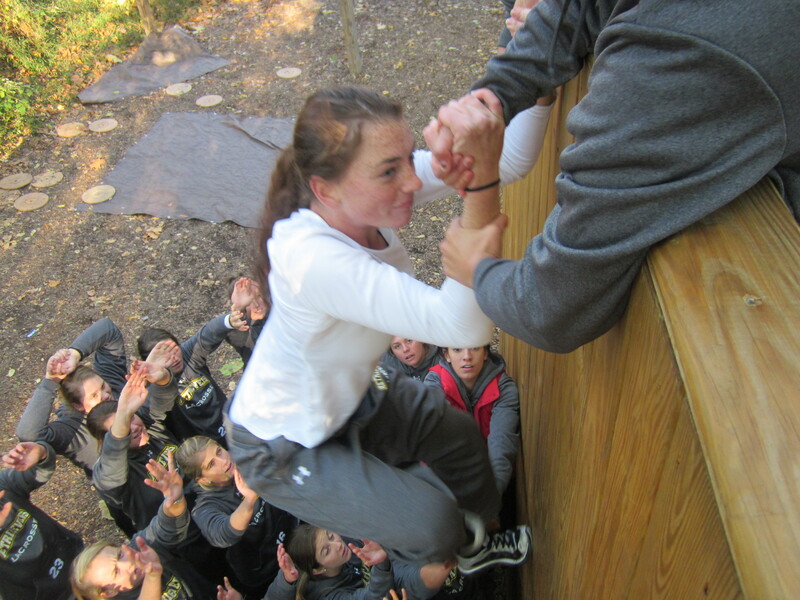 Challenge courses are great for this. Team building exercises like those done at Terrapin Adventures can help people know each other and develop that all important underlying trust. Our facilitators can help break down those artificial silos that people operate in, forging important improvements in working relationships. To make an inquiry on how we can help your team, click here or c all us at 301-725-1313. This entry was posted on Tuesday, December 2nd, 2014 at 10:00 am. Both comments and pings are currently closed.